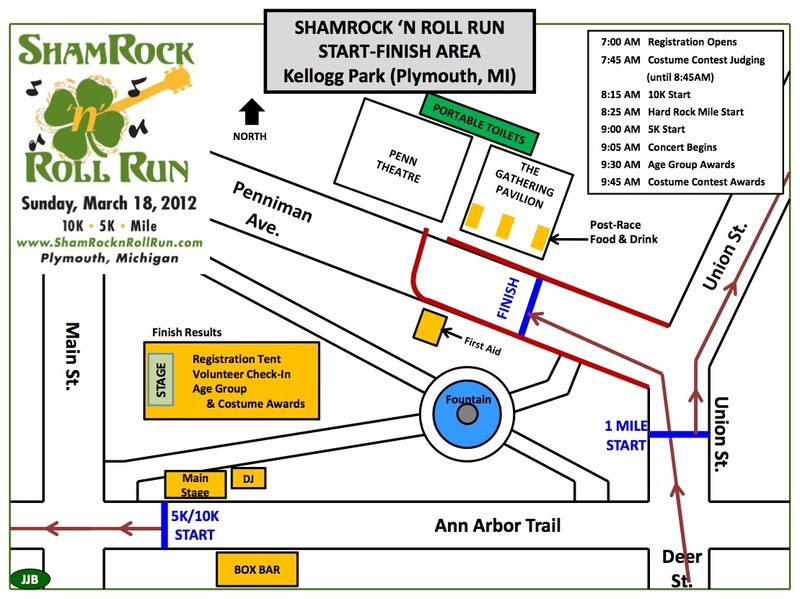 DETROIT RUNNER....: ShamRock N Roll Run in less than 5 weeks!!! 4 miles on the schedule today....a little snowy this morning but done! You read that title right. 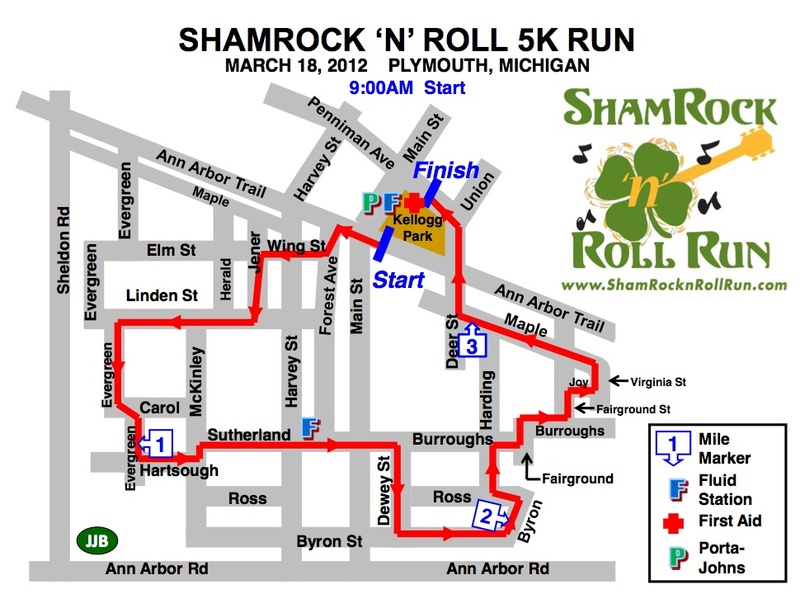 Less than five weeks for my first run of the season -- The Shamrock N Roll Run! I can't believe it! This is going to be a great start to the season. I'm really looking forward to this race. 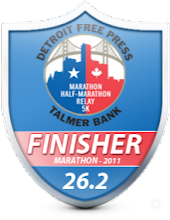 As you know, I have been blogging about this race(which also happens to co-incide with my virtual race). 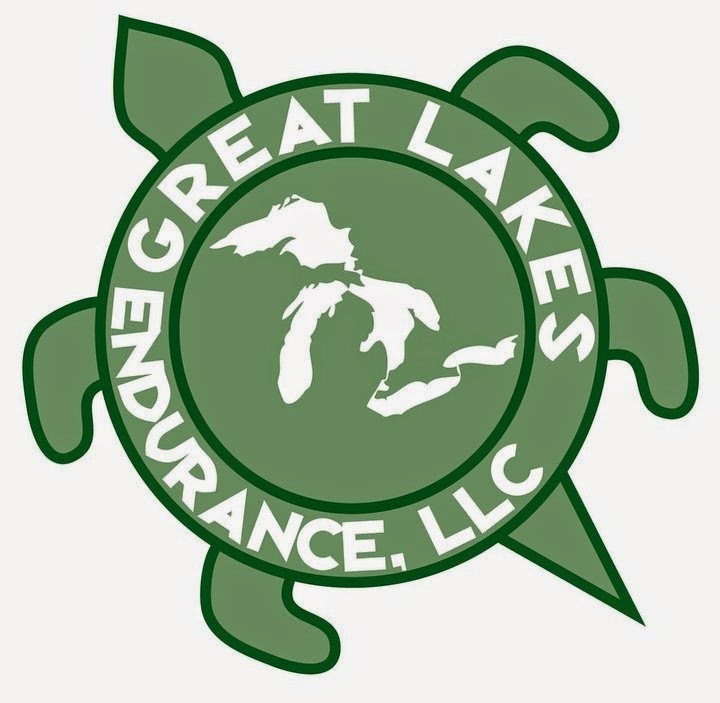 For those of you in Michigan, it's a must do run. Go HERE to sign up now! 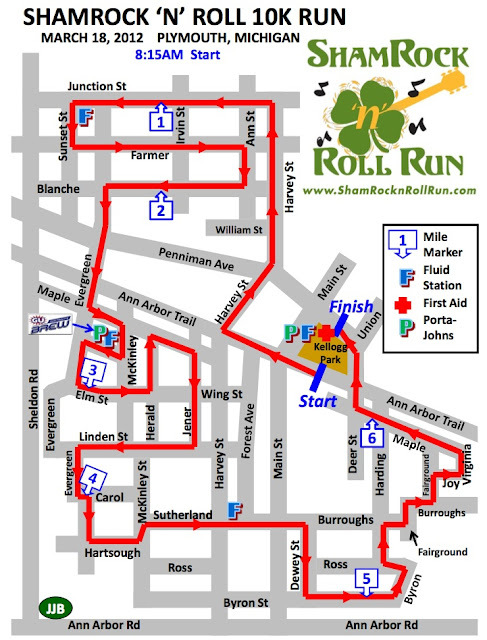 I just received the start-finish map for the race and I have also included the maps for the 10k, 5k and 1 mile runs as well for you to see them. They are also posted on their website too. One of the things that I use to determine if this is going to be a good race - organization. 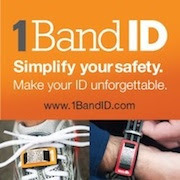 I think this is especially important for any inaugural race such as the ShamRock n Roll Run, don't you think? You only have one chance to make a good first impression. As you can see from the maps below, the areas for the start and finish have been well thought out. I mean, how can you be confused after a great map like this? 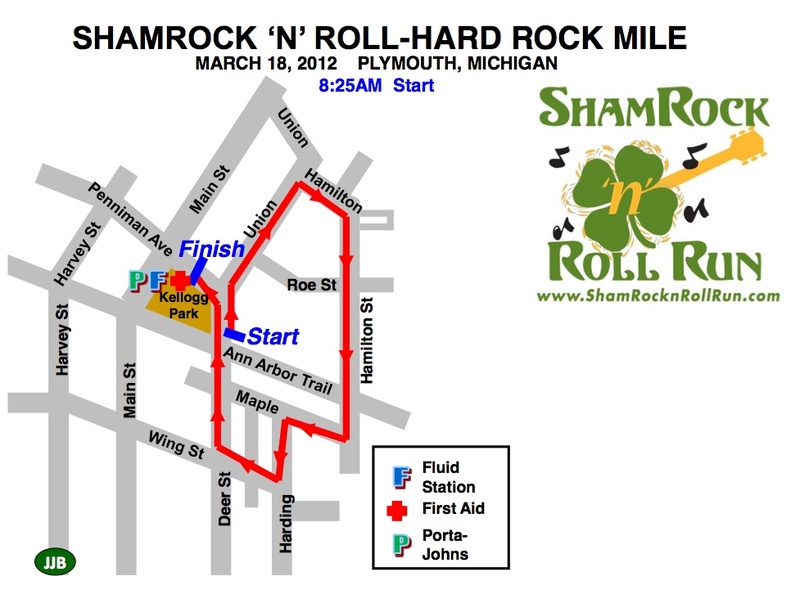 For those of you that have been to Plymouth Michigan before, you know that the downtown area is not that large of an area so unless the race is very organized from the beginning, it could prove a disaster. It's very clear from these maps that things have been well thought out and have been put together by experienced people. Of course, it also helps to know that the people organizing the event have done other races in the past including the Solstice Run 10 mile and the Wicked Halloween run. 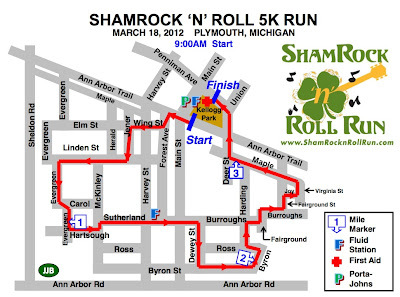 Given that, my thoughts are you should make this part of your race schedule. Not up for the 10k? 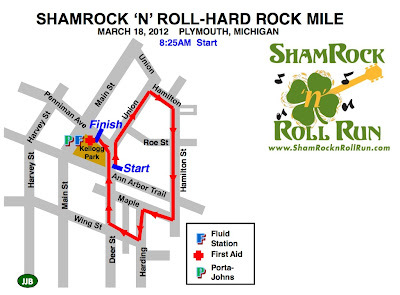 They also have a 5k and a 1 mile race too! I know you will not be disappointed! Here's the maps for all the races as well. Well planned routes and start times too. If I win big in the LOTTO I'll fly over and race the Mile, I would love to break 5min!!! looks like a fun day at the races. Are they all flat? Sorry, all flat. The would be easy for you! I wish I lived closer to Michigan (but Western New York is pretty far away!) That race looks like a lot of fun! My husband and I ran our first half marathon at an inaugural race and for the most part it went pretty well. My husband's mom was worried, she's also a runner, because it was the first time for the race, but I try to give people the benefit of the doubt. Especially when everything is pretty organized and clear on the race website. that looks super fun! hope you have a great race. 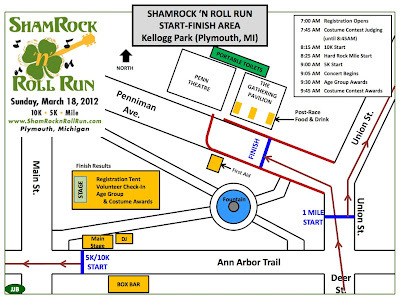 Haven't signed up yet, but planning to do this race and the Rock Cf half the following week. Looking forward to it. Cool! It should be fun. I have done Rock CF as well last year. It's a good race - awesome finish line food!